In addition to the positive culture and empowering leadership, brassfields team members get amazing benefits, including paid time off, health care and unparalleled educational opportunities. With these programs, Brassfields hopes to help time-crunched team members cope with a faster pace of work and home life. 1. Phone interview with one of the owners. 2. In-person interview with the salon manager. 3. Model call/job shadow day. Each step is dependent on passing the previous step. The phone interview is a great time to ask initial questions about the company to see if we are what you are looking for. You owe it to yourself to find the right opportunity. 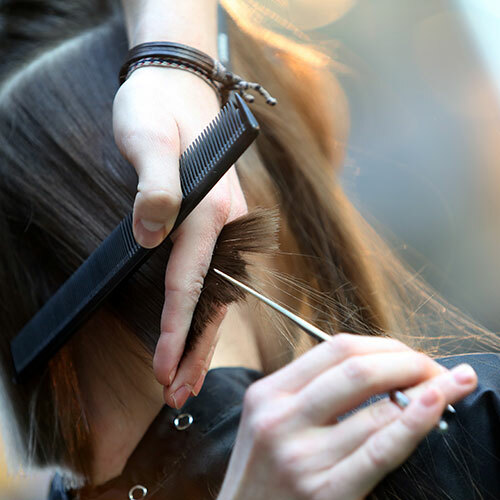 Consider taking your career to the next level being a part of an award-winning salon that is always moving forward and will value your talents – a salon that offers additional opportunities that aren’t “behind the chair” as well, from education to editorial. Learn why many find being a team member at Brassfields to be more lucrative and fulfilling than running their own business.